Our updated course was the first 27 hole facility in the Western Cape and provides plenty of challenge and interest for golfers of every ability. Some holes meander along the Berg River while many are tree-lined lush green channels which present the golfer with an enticing mix of risk and reward. Others feature spectacular mountain backdrops and glorious views across the valley. Water hazards provide an attractive and challenging feature, while colourful gardens border many of the holes. 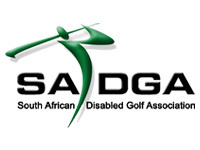 Op 9 September 2013 het 34 Boland Caddies by Paarl byeen gekom om aan die derde Caddie toernooi vir 2013 deel te neem. Tans is Stanley May die voorloper en ook verdedigende kampioen. Die Brodie liga finale wat op 'n tuis en weg basis beslis word sal die jaar tussen die spanne van Paarl en Kuilsrivier plaasvind. Die 1ste wedstrayd word op 7 September gespeel.